Exhibition space bookings for this year's Civil Engineering Expo (CivEnEx) are well ahead of last year's. Further evidence of industry optimism for the year ahead and beyond is in the robust rate of exhibition space bookings for the 2010 Civil Engineering Expo (CivEnEx), which will be held in May at the Western Sydney International Drayway at Eastern Creek. According to CivEnEx organisers, exhibitor bookings are significantly ahead of this time last year. According to Frank, regular exhibitors are also responding positively, with many doubling the amount of stand space booked last year. He said visitors won’t be disappointed in discovering new products, equipment and technology to add efficiency to their business. 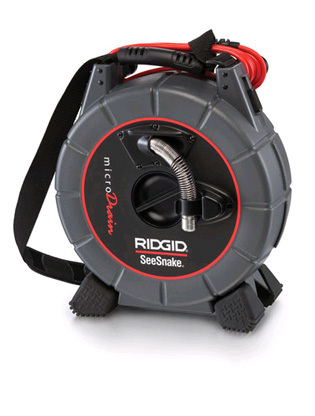 Ridge Tool Australia will be showing its new Ridgid SeeSnake microDrain Inspection Camera and SeeSnake DVDPak Inspection Camera Monitor. The company says the new microDrain represents a huge leap forward in small diameter drain inspection technology. The equipment allows quick inspection of places previously unreachable, providing increased efficiency and reduced job time. BIGmate Monitoring Services Pty Ltd has released its In-Vehicle Monitoring System (IVMS) package as part of its focus on enabling customers to significantly improve safety, efficiency and productivity. The IVMS in the vehicle continually monitors date and time, GPS location of the vehicle, speed and distance travelled calculated off the GPS and ignition hours. CivEnEx 2010 will take place Thursday and Friday, May 20 and 21. Image: SeeSnake from Ridge Tool Australia will be showcased at this year's CivEnEx.